Its time to decorate yourself with some innovative other than the old boring, bar soaps. 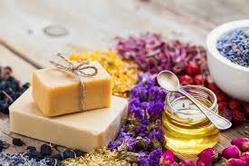 Our professional course fulfills your aim of making own basic to designer soap using with different technique. 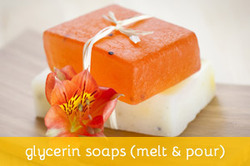 In thiscourse we teach you how to make variousDesigner Soaps. 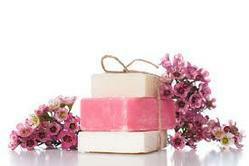 We teach you from scratch how to start your own work and learn soap making business! introduction to machinery used for transparent soaps. The art of learning the technique in making such products are useful for a lifetime and can help you relieve yourself whenever you need to. If you are more interested in making of this product you can enroll yourself in Bath salt and bath bomb courses in Delhiwhere professional tutors can help you learn the process of making these items in a very detailed manner. Bath salt and bath bomb course in Indiahas come to occupy a whole new position and many people are seen interested in such course today. 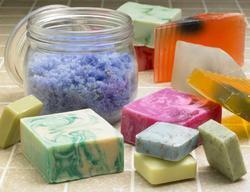 Looking for PROFESSIONAL SOAP MAKING CLASSES ?